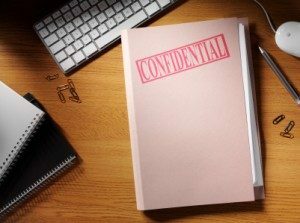 A loss of confidential information or other trade secrets could cost your company its competitive edge as well as loss of revenue. If a company accuses you of breaching non-compete agreements for your own economic gain, it could deal a serious blow to landing a coveted job or growing your new enterprise. In many companies, the partners, top executives, and other key employees sign non-compete agreements. These people typically have intimate knowledge of valuable manuals, processes, client lists, business partners or other trade secrets. When leaving the company, he or she agrees not to divulge this confidential information to rivals or use it to compete against the former employer. Attorney Klein understands how to protect your economic interests. The state and federal judicial community recognizes Robert G. Klein for building a preeminent business litigation practice over the past 25 years and obtaining exceptional results for his clients. Our business litigation law firm has the record of accomplishments that demonstrates the knowledge, wherewithal and ability to competently litigate or negotiate agreeable settlement terms for non-compete agreements and trade secret cases. An Employee Violated a Non-Compete Agreement – What Can I Do? If you believe a former employee or business associate violated a non-compete agreement and infringed on your trade secrets, consult with business litigation attorney Robert G. Klein to learn more about what to do next. Often, employers’ cases pivot on proving that the information revealed or exploited by the breach of non-compete contracts constitute your company’s trade secrets. For example, if you contend that a former employee uses your confidential customer list to their economic benefit, business litigation lawyers can guide you through the legalities and complexities of demonstrating the validity of your agreement for protecting the list. We will show how the customer list meets the legal requirements of a trade secret that requires legal protection. Accused of Breaching an Employment Agreement? Alternatively, if you are a former employee or business owner accused of disseminating “confidential information” to competitors, or if you allegedly used trade secret information in your own enterprise, you should obtain legal counsel that understands your situation thoroughly in order to safeguard your livelihood. Many individuals go to work for rivals of their former employer; some people choose to start their own company. A non-compete agreement cannot prohibit you from using your own resources and ingenuity to your economic gain. Attorney Klein aggressively defends your right to practice your craft in a lawful business, trade or profession, even a business similar to your former company. Using the above example, an employer may assert that you misappropriated a confidential client list and in doing so breached the non-compete agreement. Attorney Klein has the experience to formulate a defense to show that the employers could have a proprietary interest in a confidential list but not to customers. If customers initiate discussions about conducting business, you have the right to take on the trade as long as you did not use the employer’s confidential customer list to solicit clients. Robert Klein understands these fine distinctions in non-compete cases and other areas of business litigation. Looking for Los Angeles Business Litigation Lawyers for Non-Compete Agreements? If you suspect a non-compete agreement prohibits you from making a living, or a former employee breached a non-compete agreement, contact Attorney Robert G. Klein for a free, no cost consultation. Call (323) 405-1002, or fill out the contact form on the side of the page.